Keep your garlic fresh and stored safely away in this garlic storage jar. Add some love and country style to your kitchen. This pretty little pot will keep your garlic safely stored away with 3 heart shaped vents to keep the garlic cool. 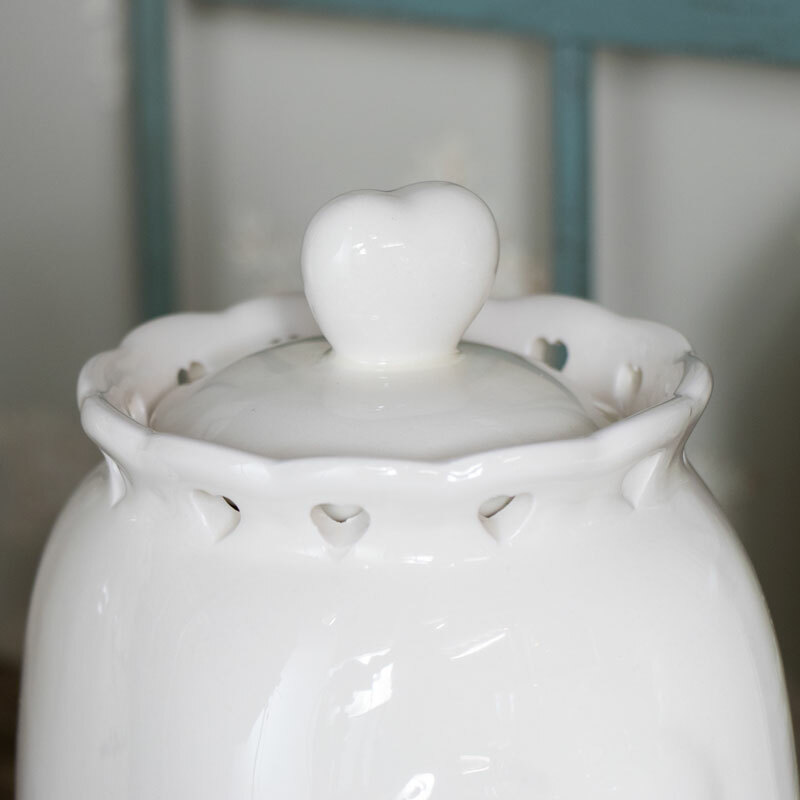 Decorated with an embossed heart on the side and heart cutout detailing around the jar top. The jar is topped with an airtight lid. Team this up with our matching crockery available in this range to make your kitchen pretty. Keep your garlic fresh and stored safely away in this garlic storage jar. Add some love and country style to your kitchen. 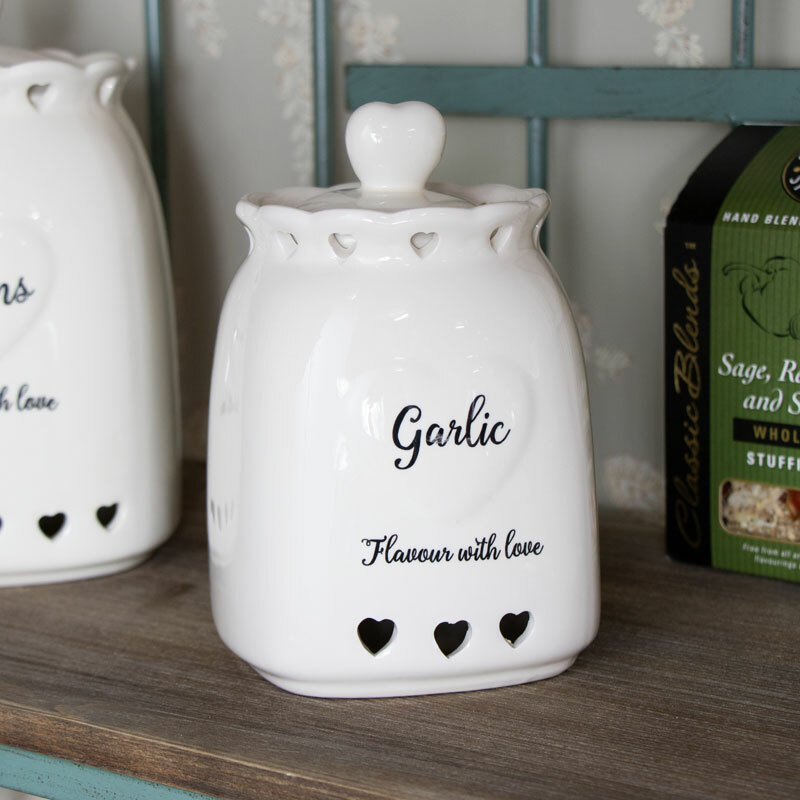 This pretty little pot will keep your garlic safely stored away with 3 heart shaped vents to keep the garlic cool. Decorated with an embossed heart on the side and heart cutout detailing around the jar top. The jar is topped with an airtight lid. Team this up with our matching crockery available in this range to make your kitchen pretty.